EXCLUSIVE! We're always hearing "Eat more vegetables!" The good news is, chocolate comes from cocoa. Cocoa is a tree. 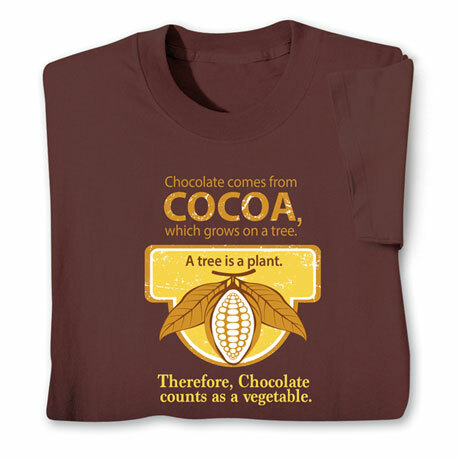 Therefore, cocoa is a plant. Therefore, chocolate is a vegetable. Hurray! Chocolate brown T-shirt is preshrunk 100% cotton. Sizes S-3XL. Imported.